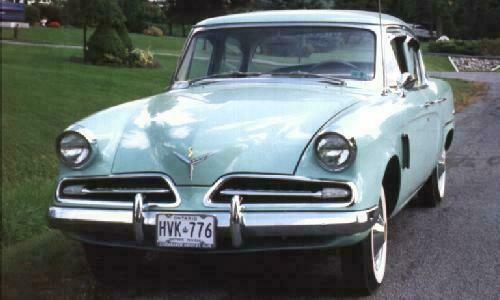 This great looking 1953 Studebaker Champion Sedan was listed for sale by Peter Sant of Belleville, Ontario. Not many of these have survived, at least not in this nice condition. 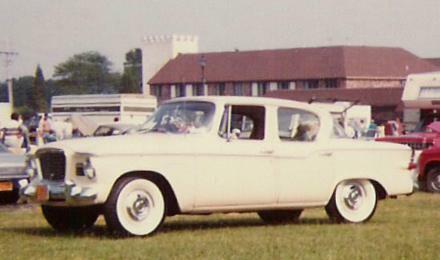 Studebaker introduced an all new body in 1953. This same basic body was later used on the compact Lark with the front and rear sections shortened. A wraparound windshield was added in 1955 along with lots of chrome. The styling of the 1953 sedan line has been crticised as being a frumpy version of the sleek 1953 hardtops and coupes. However, compared to the comptition, this was a relatively clean design in its original form. 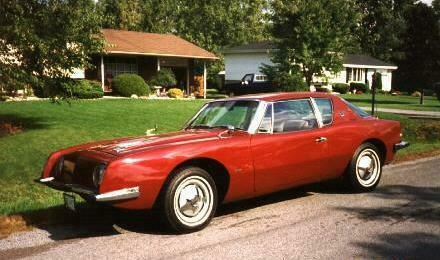 This sharp 1963 Studebaker Avanti also belongs to Peter Sant but this one is not for sale. Peter's Avanti is equipped with the supercharged R2 engine and the Powershift automatic transmission. This is a late production "round headlight" model in that it has a mesh grille over the radiator opening. The Powershift automatic transmission built by Borg Warner for Studebaker was an innovation at the time in that it was designed to be shifted manually if the driver so desired. Studebaker built 3,884 Avantis for the 1963 model year and an additional 809 for 1964 before production ended in December 1963. The compact Lark was introduced in 1959 and carried over into 1960 with only minor trim differences. As note above, the Lark used the same basic body as the 1953 Studebaker sedan line. In addition to being shorter both front and rear, Larks lack the front fender side air vents that were a Studebaker feature for many years. Both the Champion and the Lark used Studebaker's 170 cubic inch flathead six as their base engine. Larks could also be ordered with Studebaker's 259 cubic inch V8.